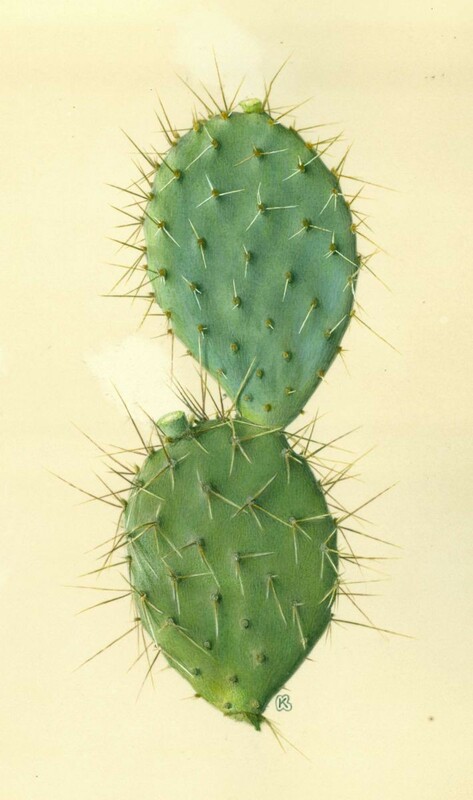 Opuntia covillei is a medium-sized, California prickly pear cactus that grows in angular shapes to 1 m across. O. covillei cladodes are pale green and 9 to 20(25) cm long, and the areoles are 2-4 cm apart. Most areoles have 2-5(7) white-brown or brown spines. Spines are slender, and the the longest spine may be 5-7 cm long. Spines are brownish or white-brown. 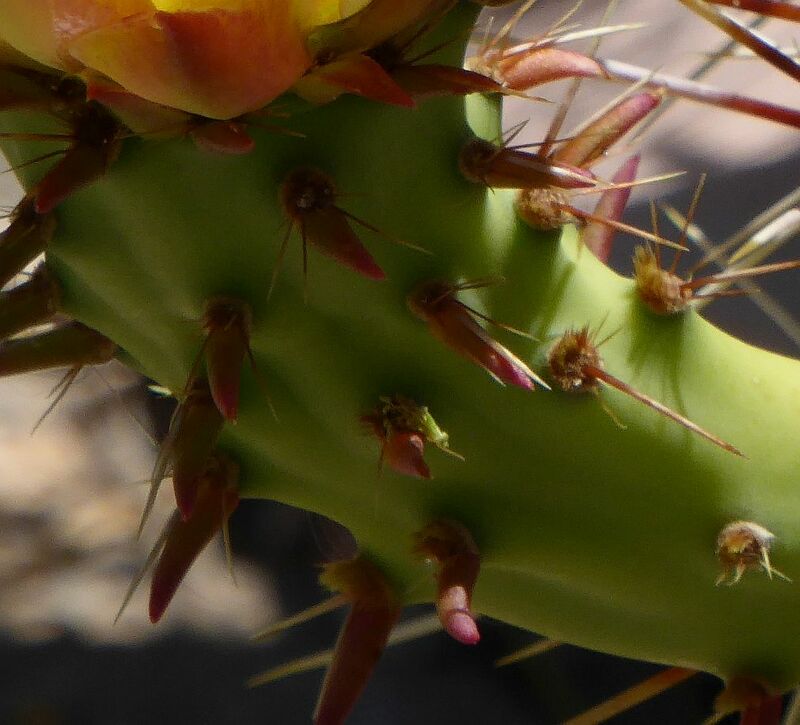 This Opuntia is notable for its overall spiny appearance. 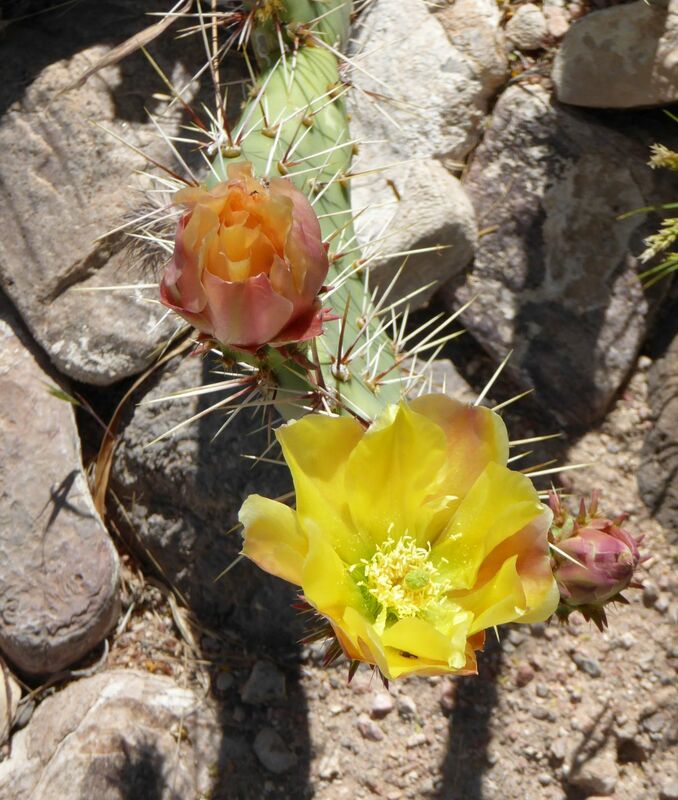 The bright yellow flowers are large for a prickly pear of this size. Though yellow, the flowers my be tinged with green inside. The anthers are yellow, the style is pale, and the stigma is green. 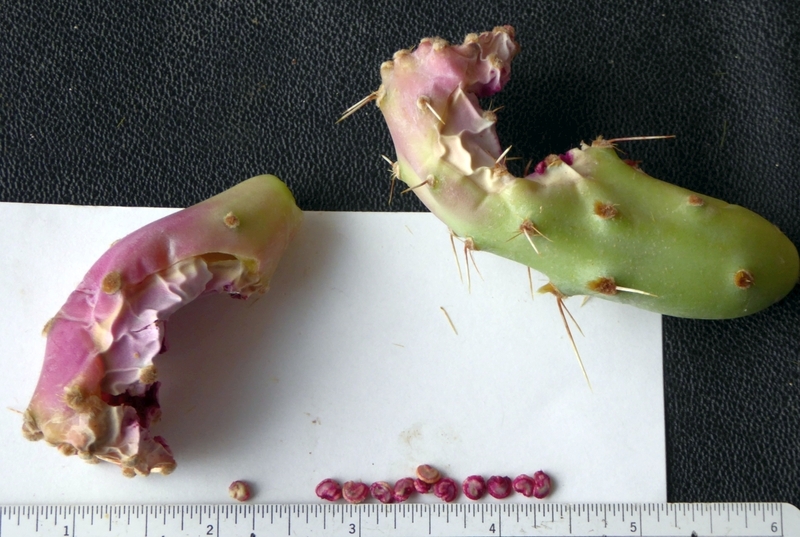 The ovary on this Opuntia is 4 to 5 cm long with relatively few areoles that are mostly spineless. However, some fruits may have a few short spines. The fruit is mildly tuberculate, relatively long, and red. Seeds are about 5 mm in diameter. This prickly pear often grows in impenetrable thickets 50-100 cm tall. Unlike many California opuntias, O. covillei grows in inland valleys. It grows at the base of Mt. San Bernardino, Mt. Baldy, Mt. San Gorgonio and into the desert foothills near Banning. O. covillei seems to be the same Opuntia as O. megacarpa, which was described around the same time. However, the name, O. covillei, has precedence. See the original description. Ploidy is unknown.